Whether it’s a practical need or because the timing is right for your kitchen remodel, the appliance list is the first decision to consider. Don’t focus too much energy on brands and specifics at first, think instead about how you cook, bake, roast, store, and clean up. The following questions will guide you in thinking about new appliances and a well-designed kitchen. Cooking Surface: Do you need more than four burners for your cooking surface? Would a griddle be well utilized if you had one? Next, investigate the benefits and preferences of cooking with gas or electric. Once the cooking surface is considered, the needs for ventilation can be determined. Oven(s): Do you need two ovens? Do you bake often? What types of food do you cook in your oven? Do you want to expand your baking/roasting skills? Microwave: Do you use a microwave often and who uses it? Is it used for warming, thawing, or just reheating and popcorn? Would it be better for the users of the microwave to have it below the counter or above the counter? Refrigeration: Is the freezer just as important as the refrigerator? Do you buy in bulk? Do you use fresh or frozen more? How much refrigeration do you need? Clean-up: When do you run the dishwasher? Do you entertain often? How large are your groups? Do you need two dishwashers? Sink options: Is your preference one bowl or more than one bowl? Do you use many large pots, pans, or sheets? Do you cut lots of vegetables? Do you need the garbage disposal in a separate, small bowl? As you consider these questions to determine your appliance list, you may also want to consider some appliances that may be considered luxuries rather than necessities. The convection steam oven is becoming more common in residential kitchens as manufacturers have sized them for the home. The idea is to cook with moist heat (like many restaurants do) which keeps your finished meals moist, speeds up the cooking process and re-heats like it was served for the first time. How about a built-in coffee system? For most of us, coffee is a necessity! A coffee system that is built seamlessly into cabinetry allows you to grind, froth, and make that perfect cup of coffee with very little effort. As you begin to answer these questions, your kitchen designer can help develop your appliance list and you will have a head start on your new kitchen design. Disclaimer: Studio 76 Kitchens & Baths is a factory certified installer of Sub-Zero, Wolf, Cove products and also designed a kitchen space in Trevarrow Inc.’s Cleveland showroom. Are overwhelmed by the thought of updating your kitchen? Do you wonder… Where do I begin? Should I just get an estimate from a kitchen remodeler? What do I need to have in place before I meet with them? What information do I take to our first meeting? When you don’t have the answers to these questions, it’s easy to put off remodeling your kitchen. You have probably been dreaming and collecting ideas for your project for quite a while. But before meeting with a kitchen remodeler, there are three things you should consider about the project. You must consider the scope of the project, the budget, and how to proceed in implementing your plan. I will discuss each of these steps and provide some examples for you. To make it simple, we will categorize kitchen makeovers into three types of projects. While these three (“update,” “replacement,” and “full remodel”) are very generalized, having three simple categories does help you when it comes time to explain the scope of your project. I will explain each of the three categories for you. Updating your kitchen may include some or all of the following: replacing countertops, replacing appliances and fixtures, replacing cabinet pulls or knobs, replacing cabinet hinges, adding backsplash tile, replacing flooring, and painting. 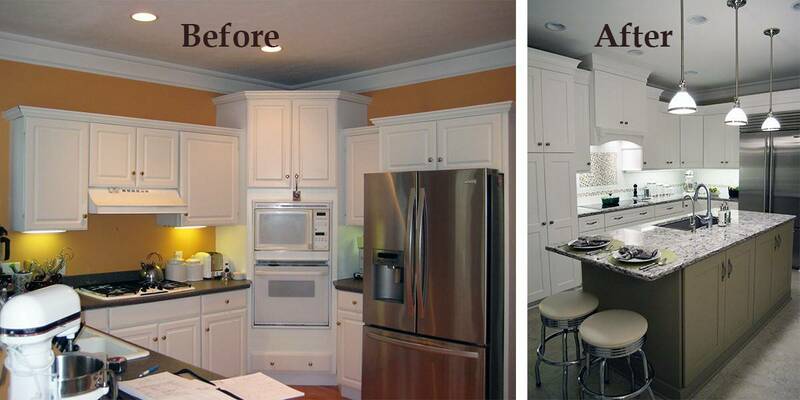 Generally, a kitchen update is remodeling the kitchen without replacing cabinets. Since cabinets are usually the most costly item in the kitchen remodel, the “Update” can be accomplished on a more modest budget. One difference between the “Update” and the “Replacement” is the cabinets. In the “Replacement” you are replacing the cabinets. Generally, a kitchen replacement is replacing most/all of the materials while keeping the existing floorplan, including cabinets, appliances, and fixtures in their same locations. Variations of the “Replacement” could allow for small changes in the floor plan and some modest electrical and lighting updates. Also common in a replacement kitchen remodel is the possibility of reusing some appliances and fixtures. Primarily, however, the layout will remain the same. Fully remodeling your kitchen is replacing all materials, but also allowing for rearrangements in the floor plan and locations of appliances and fixtures. Generally, a “Full Remodel” of a kitchen includes removing everything including the drywall and flooring down to the rough framing members and subfloor. Often in a full remodel, walls are being moved or eliminated and a new electrical and lighting plan is implemented, in addition to all the changes listed in the “Update” and the “Replacement” type of projects. So, what are looking to do: update, replace or complete a full remodel? Once you understand where your project fits within these three categories, you can move on to developing a budget. Within each of the three project categories, there is a wide range of costs. I’ll give you a few examples to help clarify. In “The Update,” you are choosing specific aspects of your kitchen to update. Usually the goal is to keep the budget as low as possible. You can control costs by choosing which materials to replace and whether you want a high-end replacement or low-end. Let’s say you’d like to replace your countertops. 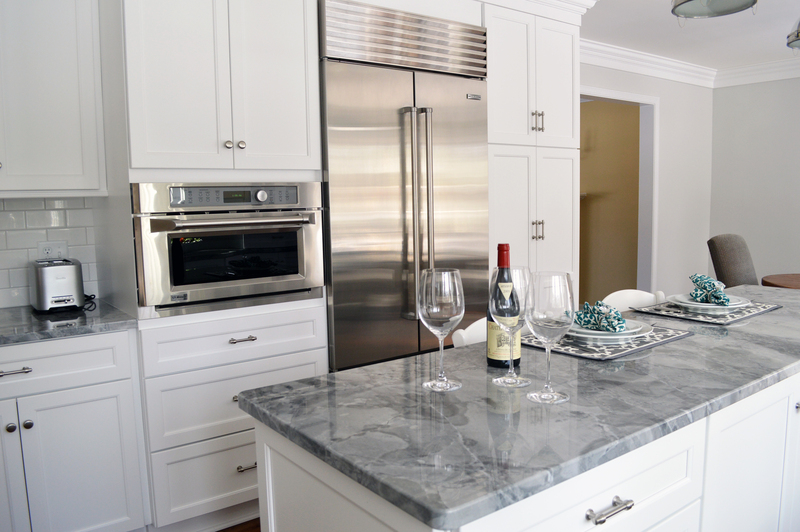 The material you choose for the countertop will drastically affect the budget. For example, you may choose granite countertops, but there is a wide range of material costs within the choice of granite. The same is true for backsplash materials, appliances, and even the types of sinks and faucets. When you are ready to replace your cabinets, you are most likely moving into the “Replacement” or “Full Remodel” categories. Since we’re now talking about cabinets, you should know that your budget will be greatly affected by the quality of construction and finish of the cabinets. Once again, you’ll have choices along the lines of basic and high-end finishes. 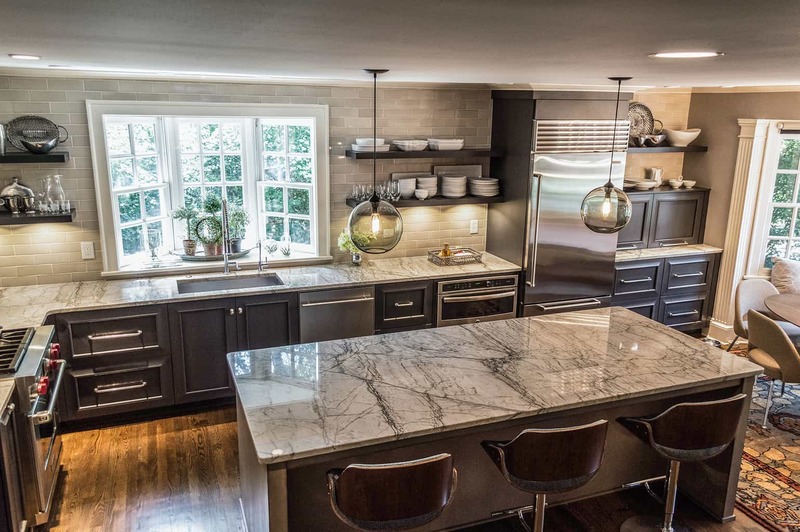 If you are asking a kitchen remodeler to tear down walls, move plumbing, and change flooring in a full remodel, be ready for a five- to six-figure remodeling budget. Choose your minimum and maximum spending limits, but hold off on any final decisions until a remodeling professional builds a budget. 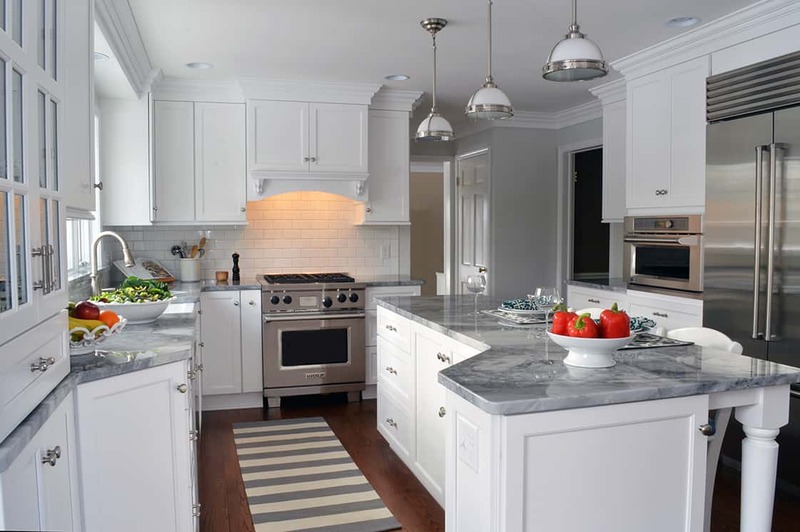 The most effective way to know if what you are willing to invest lines up with how much work you want done is to have a kitchen design professional develop a budget for you. This is more than a free consultation or estimate. One or two meetings should be enough to talk through your project requirements and develop a budget. But having a professional draw up a budget will show you if your ideal budget is realistic for the type of project you desire. By now you have thought about the scope of the project and the budget for the project. Now it is time to hire a professional to get the job done. Your task is to pick the best professional for your kitchen remodeling project! A kitchen design professional will spend the time to develop a plan and drawings. With these CAD drawings, he will be able to communicate the details of the project. He will also specify and review all the tasks that are necessary to complete the project. That’s when he can give you a fixed price for labor, materials and everything from demo to completion. Be careful to hire a professional that will provide this kind of detail and not just ask you to sign a contract based on a free estimate or a simple budget. Also, you would be wise to check reviews and credentials as well as talk to past clients of each professional you are considering. You now have a simple step-by-step list to help you prepare for your consultation with a kitchen designer or remodeler. Consider the type of remodel you wish to pursue. Consider the options available to develop a realistic budget. And consider carefully who will implement the project. Wood countertops have been making a comeback in recent years. 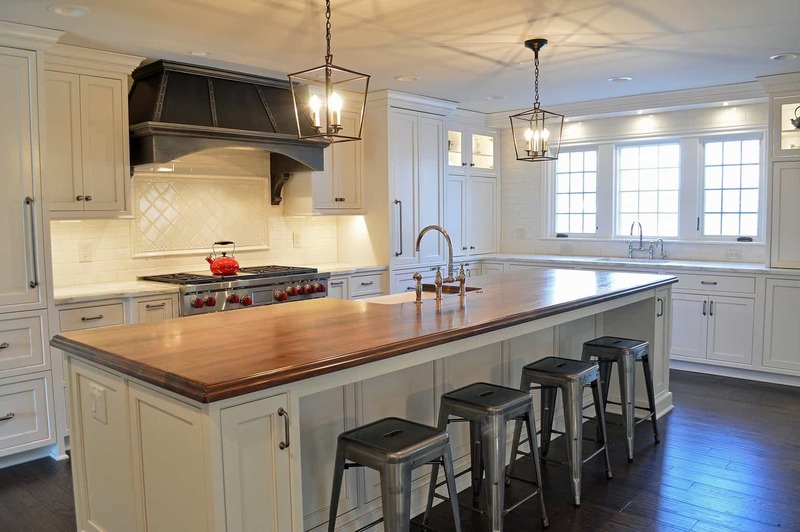 Many of our clients love the idea of using wood countertops for warmth and contrast in design. And it’s a great idea! We most often recommend wood countertops for an island, or even a portion of the island as a focal feature in the kitchen. Why do we recommend wood countertops? We recommend wood countertops for three reasons. Wood countertops are more sanitary than you may think! Some species naturally inhibit bacteria growth, while a quality clear coat finish seals the wood for an easily cleaned surface. Secondly, wood countertops are a durable surface for hard-working kitchens. Thirdly, wood offers warmth both visually (the color) and tangibly (in contrast to cold stone surfaces) and a gorgeous, natural style. What types of wood species are available for countertops? Countertops are offered in many wood species such as cherry, maple, hickory, walnut, teak, or sapele mahogany. After you choose a wood species, you can choose a stain color and a finish. A natural finish will benefit from a regular application of food grade mineral oil to keep it from drying out and seals the wood. Or a quality clear top coat will seal the wood for easy clean-up and protection against water. Why are designers using two different countertop materials in one kitchen? What other tips can you give us? If you use your wood countertop as a cutting or chopping surface, be willing to accept cuts and scratches in the surface. A redeeming quality of a wood surface is the scratches can be sanded out! When designing an oversized island, consider warm materials such as this 1.75 inch thick wood countertop by Grothouse. The distressed and glazed walnut wood invites family and friends to gather for meals and conversations. The warmth of these materials encourages guests to linger, and the generous expanse of the counter provides ample space for enjoyment. To help you decide between hiring a pro or DIY, here are four questions to ask yourself. 1. Am I redecorating or remodeling? If the space layout is remaining the same and you want to update your look, you are more likely redecorating. But, if you are willing to “demo” your space and redesign your layout, you are remodeling. This is a simplification but an easy way to understand the scope of your project. 2. Am I willing to take on all the risk? There is risk involved with the technical implementation of a remodeling project. Mistakes can be costly. Plumbing, electrical, ventilation and structural knowledge are essential. Are you familiar with the local building codes? What if an inspection fails? Will you be able to manage the correction? Will you know if a subcontractor is cutting corners? If you don’t hire a professional kitchen designer and remodeler, the risk is entirely on you. 3. Do I have the ability to design a layout that will address all the possibilities? Hiring a kitchen designer and remodeler most certainly will open your mind to new possibilities. With their training and experience, they may suggest a space layout and design you hadn’t thought of. In a kitchen, appliance size, location and placement are crucial. In a bathroom, with its often tight space, door swing and plumbing locations are a priority. A trained professional will give careful attention to detail in order to ensure high quality design and functionality. 4. Do I have the resources to implement the design? You will need to purchase new products: flooring, backsplash, cabinets, countertops, appliances and more. You will need to have the time to visit these suppliers, make final selections, order the product and arrange storage of the product until you are ready to start. Keep in mind, you will be the general contractor. That means you will need to manage and schedule all aspects of the project from conception to completion and manage the costs to stay within your budget. With so much advice out there for DIYers, why should you choose to hire a kitchen or bath designer? They offer resources you may not have, mitigate risk you can’t afford, and share ideas you didn’t think were possible. 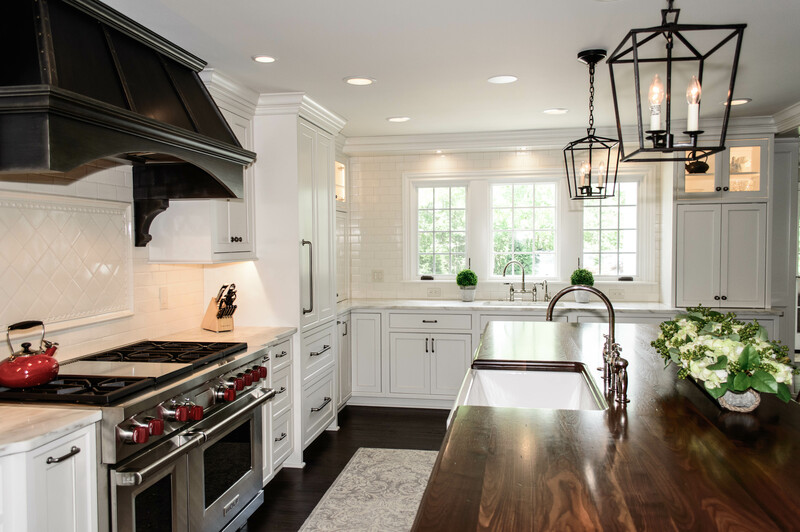 A professional kitchen designer with experience in renovations will help you save personal time, avoid mistakes, budget wisely, and schedule the project realistically. Hiring a professional can do so much toward ensuring a successful project.